I love making deserts that the girls can help me with! 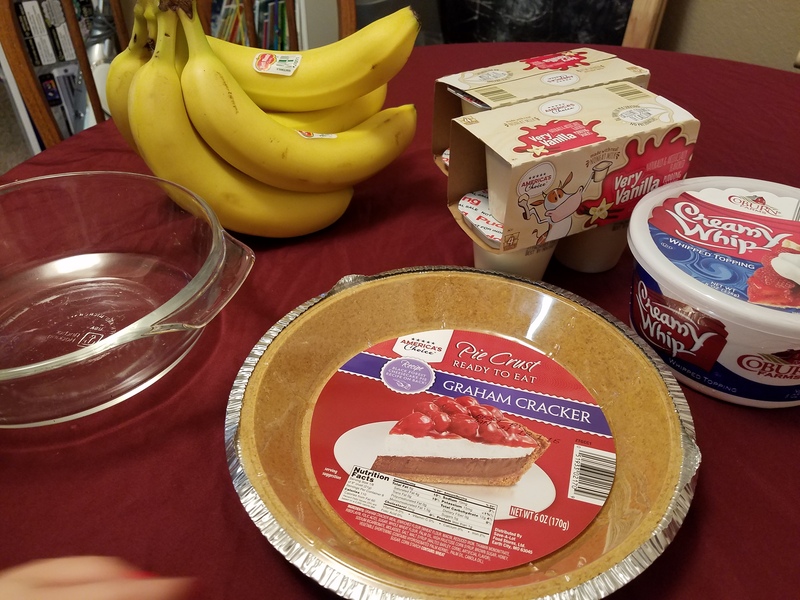 Here is an easy recipe for Banana Pudding Pie. Have the kids mix a tub of whipcream and pudding together. Banana flavor, or vanilla. Then place banana slices on the bottom of gramcracker crust. (I recommend bananas that have ripen for awhile.) If they are too ripe, they don’t taste as good. Add whipcream mixture on top of the banana slices. Cover with more banana slices, and place in refrigerator for a few hours. This recipe is great for the whole family, not just the kids. lol 😉 Thanks for sharing!